What poker supplies do I need to host a home game? - Casino Answers! 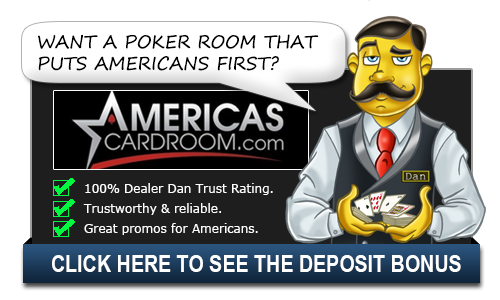 Casino Answers » Poker » Home Games » What poker supplies do I need to host a home game? What poker supplies do I need to host a home game? If you’re playing poker for any substantial amount of money, you owe it to the players to invest in quality materials. A Poker Table. Typically, poker tables are extremely expensive. Instead of buying a poker table, it’s much cheaper just to buy a large piece of felt and use it like a tablecloth. If you staple a piece of carpet padding under it and trim it to the size of your dining room table, you’ll have an extremely effective, yet cheap, dining room poker table. Cards. Don’t buy anything except Copag-brand plastic playing cards. Bicycles and other playing cards are easy to mark, get bent and destroyed, or get wet. Wet cards are marked cards. Copag cards are plastic, so they keep their shape and can be washed or wiped down after a game. Chips. Plastic chips will do in a pinch, but if you want the casino feel, find 11.5-gram clay chips. You need at least 500 chips for every 5 players, so if you’re hosting a short game, 500 chips will do, but if you ever have more than five players, go ahead and buy a few more chips. Try to get a lot of whites and reds and a few greens. Instead of buying chips in a set, buy them by the color. By the way, if you want to make counting chips natural for players who play poker, use the correct denominations. Whites are worth $1 (or $0.10), reds $5 (or $0.50), and greens $25 (or $2.50). A Dealer Button. Yes, you do need a dealer button. You can buy them for five bucks or so, or you can just buy a three to four inch wood disc from a hobby store and write or stencil “dealer” on the top with a sharpie. You can sand and stain the disc if you really want a unique button. What should I get for a casual night with friends? Online poker is riding a huge wave of popularity. However, sometimes nothing beats an evening of poker with your friends. If you are preparing to host a poker night, take the time to make sure you have the right supplies to make your evening a success. First, plan for the poker variations you plan to play. There are many different forms of the game, most of which require the same supplies, but you will want to familiarize yourself with the rules for a few popular variations. These might include Texas Hold ‘Em, Omaha Hold ‘Em, and Five Card Stud. Have some “cheat sheets” made up for any rookie players who might be there. Basic supplies you will need will include cards, poker chips, a poker timer, and a table (a poker table is best). Know the stakes ahead of time and have some prizes on hand. To make things more fun, have prizes for the winners, but also for “worst hand of the night,” “most full houses,” and other non-traditional stats. Make the night fun with poker decorations, cups, and napkins. Be sure to have snacks available that are easy to munch on without breaking concentration, like chips and pretzels. Stock up on beverages; it is the host’s choice whether or not to serve alcohol.